Looking for the best USB mixer for home studio? We’ll take a look a few good options that exist, and see which one of them is right for you. Quick Answer: the Mackie ProFX12v2 is consistently rated as the top USB mixer, which get’s the most buys and more top ratings from customers. 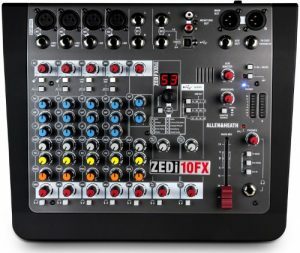 But the Allen & Heath ZEDi-10FX offers pretty excellent value-for-money thanks to its integrated computer interface. While these USB mixers won’t break the bank, if you’re on a lean budget, take a look at the Alesis MultiMix 8 USB FX as a super affordable alternative. Highlight Pretty much the indisputable top choice among audio professionals and home studio owners. It’s designed for both stage and small studio use, with great sounding preamps, and no need for driver installations. Value-for-dollar it’s hard to deny this in terms of quality and features. The built in audio interface makes it ideal for multritrack recording, and the DA conversion produces hi-res audio quality with a clean, rich sound, and easy DAW integration. A budget USB mixer for the lean home studio owner. This USB mixer produces some good results for what is needed from a USB mixer-audio interface combo, with DAW integration being one of its best features. But there are a few limitations to be expected. The alternative choice to the Mackie ProFX8v2 or ProFX12v2, its class compliant USB connection and high-end features make it a great choice for those looking for something just little different and within the same price range. A digital USB mixer you can control wirelessly from your tablet or phone with its iOS or Android app, plus its built-in audio interface and 16 preamps should be enough for all your multi-tracking needs. 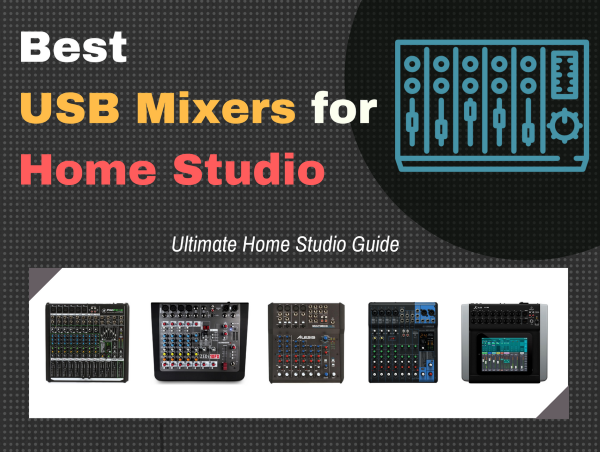 Here are the descriptions and short reviews of each USB mixer for home studio. If you need help making a decision, take a read of the buying guide section of this article. The Mackie ProFX12v2 is the top choice for the best USB mixer for home studio. This is primarily if you’re looking for a “tried-and-true” mixer, as it’s also the most bought USB mixer on this list with plenty of positive reviews from buyers, both pro and amateur, stage and studio, broadcasting and recording. You can expect plenty of convenient features, and a sound that professionals say rival the larger console mixers on the market. To go over the essentials, the Mackie ProFX12v2 USB mixer has six low-noise Mackie Vita preamps and six 48-volt phantom power channels, which get a lot of good comments on the sound quality. The total amount of channels on this model is 12, with 12 faders. But at the link below there are options for less or more, according to your home studio needs. As a USB mixer, it has two USB connections for directly recording to your laptop or computer, with no need for driver installation. It also comes with the Tracktion recording software which you might find useful. Buyer opinions of the Mackie ProFX12v2 USB mixer are very positive overall. The highlight is the high-quality preamps with lots of headroom and no noise, generally considered good for the price. Also many like the “plug-and-play” convenience, with no need to download drivers to use the USB. Only complaint is that there can be low-noise over USB connection. But generally pro users found that this was negligible. Read the buyer reviews @ Amazon. The Mackie ProFX12v2 USB mixer is a great buy and generally excellent value for money. There might be one small flaw to it (the USB noise) which scares some people away from buying it. But those that take the plunge find nothing to fuss over. Overall, it still gets the rating as the top choice for best customer satisfaction. If you want a great alternative, take a look at the Yamaha MG10XU. In terms of features, the Allen & Heath ZEDi-10FX USB mixer offers one the best value for money, since it’s both a compact mixing console as well as an audio interface. With 10 channels, there’s even the ability to connect instruments directly without the need of DI boxes. And the built-in effects with tap tempo makes it very convenient for syncing up the delays and other effects that it comes with. Perhaps the most impressive feature of the Allen & Heath ZEDi-10FX USB mixer is the fact that it has the built-in audio interface. The USB mixer can connect directly to your laptop or computer for high-resolution 24-bit/96hKz audio. It offers DAW integration as well. But if you prefer, you can use the Cubase LE software or iOS app. You can controller control and blend your Main Mix and Aux Mix independently, since the USB mixer allows you separate playback controls. Vitally important, however, are the preamps, which were created by the so-called “analog guru” Mike Griffin. These GS-R24 preamps are considered some of the best in the business, warm and deep with lots of headroom and no low-noise. 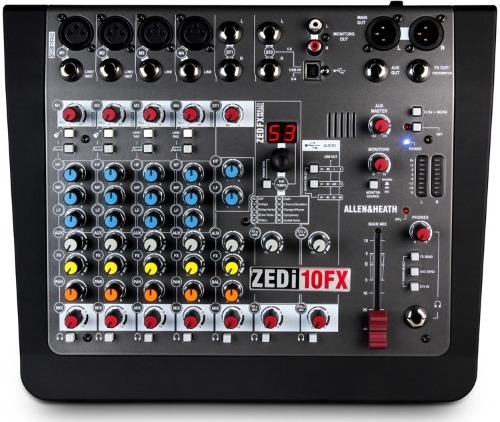 The typical buyer finds the Allen & Heath ZEDi-10FX USB mixer satisfactory. “Rich and full” and “warm” are words you’d see used a lot to describe the USB mixer. One minor complaint, within reason, is the lack of some features like channels inserts, individual channel mutes, and channel faders. But as one buyer rightfully put it this would be irrelevant within the context of a home studio. The Allen & Heath ZEDi-10FX USB mixer is highly recommended for the home studio user who’s into recording, podcasting, or streaming. Expect a clean sound with this choice. And it’s flexible enough to be used on stage as well. The build quality is quite good, and is small enough to not take up a lot of space on your desk. If you’re on a budget and looking for the best USB mixer for home studio at a convenient price, take a look at the Alesis MultiMix 8 USB FX. This little mixer is a table top variant, small and compact and won’t take up too much space. Unlike many of the options on this list, it is designed specifically for the home studio computer based recording, with a built in audio interface that can deliver above CD level audio quality. For the essential features, expect similar to what you should expect from a good USB mixer. 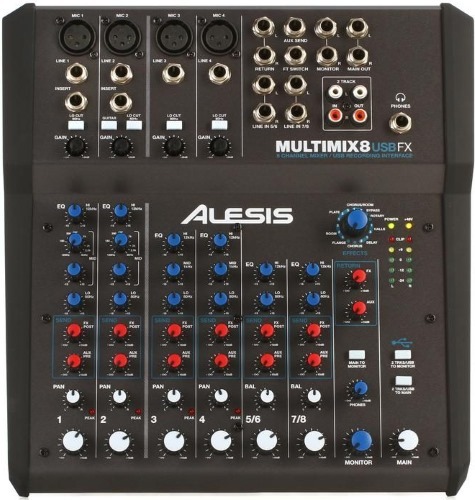 The Alesis MultiMix 8 USB FX mixer has 8 total channels to play with, though you can get the 4 channel version for cheaper if that’s what your studio requires. The channels consist of 4 preamps that connect via XLR, plus mic, line, and guitar-level inputs. The USB recording functionality offers 16-bit/44.1kHz to 48kHz output for recording and playback. There are 16 built-in DSP effects including phasers, delays, and reverbs, and includes a software package of Cubase LE. Also, it comes with a built-in audio interface that sends out two left-right channels to your DAW from your mix. Many buyers repeatedly say that they bought this because they simply needed the phantom power and pres. In that regard, it's pretty good. Other opinions are that it’s basic, clean, and dependable. Users also comment on the ease with which the USB mixer connects to their computer. 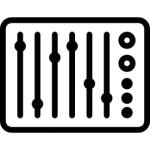 The main complaint is that the USB mixer only supports 16-bit audio, which is below the "industry standard," and that the audio interface only outputs a stereo track to your DAW. 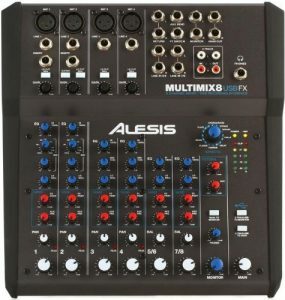 While not necessarily “pro” worthy, the Alesis MultiMix 8 USB FX mixer is a great solution if you’re a musician starting a home studio on a budget, and you know you need a mixer and not just an audio interface to do live recordings. This gives you a two-in-one solution, and a fraction of the cost of most other gear. You can get really good professional results with the Yamaha MG10XU USB mixer, this being especially so for the affordable price tag it sells at. It’s one of the more popular items in this guide, and is usually reviewed from the perspective of a live gig mixer, but it’s also suitable for home studio as well. The Yamaha MG10XU USB mixer comes with a total of 10 channels, with 4 combination XLR-TRS mic preamps and 4 phantom power. Some of the features on the Yamaha MG10XU USB mixer are what you’d expect on high-end models. Features like a pad switch, one knob compressors, LED metering, filters, and switchable pads for managing loud sources all come built into the device. 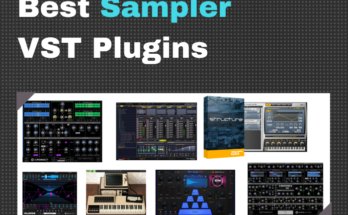 Like the other USB mixers on this list, you have a choice of effects and EQ settings. But you get 24 effects instead of 16, all of which are editable. Being class compliant, the USB mixer can be connected to any computer or device like tablets. The metal chassis is also something to appreciate, the build makes it feel sturdy and reliable, while small enough to take up minimal space on your desk. 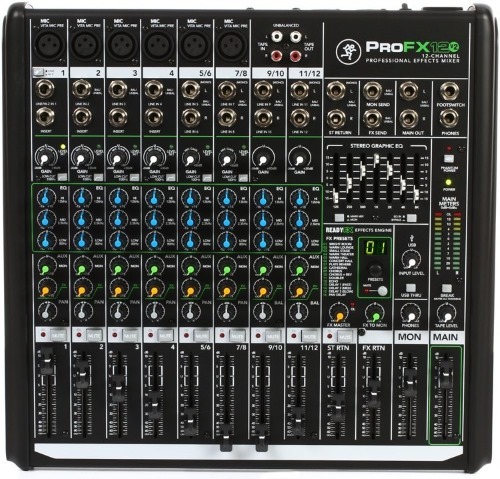 Many buyers tend compare this to the Mackie ProFX8v2, considering it the superior USB mixer. This may be true considering the relative channels, more compact size, and at around the same price. Most users consider it best for road use, given its small size. But elsewhere, you can find home studio users satisfied with the quality and sound that it produces at home for various home studio recording applications. The only typical downside from buyers is the lack of faders, as well as no individual EQ controls, which is more an inconvenience for the gig user than the home studio owner. 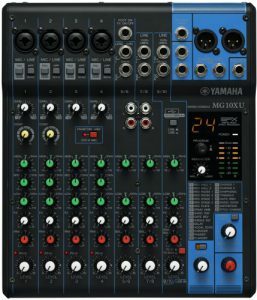 If you were looking at the Mackie and were not certain, the Yamaha MG10XU USB mixer is a comparable option that could easily take the “Top Choice” spot, if weren’t only for the fact that it received few buyer reviews than the competitor. The Behringer X AIR X18 USB mixer is a unique addition to this guide for two reason: it is the only digital mixer in this guide, and it is controlled wirelessly via an app on your iPad, Android tablet, or even phone. You can expect the benefits of a digital mixer, like a plethora of features that you’d normally find on large mixing consoles, but at a fraction of the price. And being wirelessly controlled, this means increased convenience for your recording sessions, you can mix from anywhere since the wireless tablet connection gives you ultimate freedom of movement. Like you’d expect, the Behringer X AIR X18 USB mixer has features that go beyond the essentials of a basic home studio, some of which can be taken to the stage for live multi-track recording. This is thanks to its 18 channel bi-directional USB connection, with a built in audio interface and processor that supports high-resolution audio, designed to lighten the load on your computer. There are 16 mic preamps that are remote controllable and can be programmed. It has four stereo multi-effects engines as well. This includes Lexicon reverbs, but you also get delay, chorus, flangers, and exciters. In addition is the 31-band graphic EQ and 6-band parametric EQ. Everything is controlled via an app on your device, and can be done either via USB, or wirelessly. Most buyers are impressed with the sound quality of the Behringer X AIR X18 USB mixer, calling its sound quality “crystal clear.” And while it’s chock full of features, some users found it intuitive and easy to setup. The main complaint is the potential for some buildings to cause interference with the wireless signals. This mixer will surprise you with what it can do. If you’re already familiar with the analog mixers on this list, or you wanted to take the plunge and go high-tech without breaking the bank, the Behringer X AIR X18 USB mixer is a great buy for your home studio. When you start producing and recording music, sooner or later you may want to record and mix many different instruments or sound sources at the same time. To do this, you'd need a way to input, control, and "sum up" your various audio signals into a simple stereo left-right signal to be recorded. This is where your audio mixer, or mixing console, comes in. At its very basic functioning, a mixer provides you with multiple inputs for more than one microphones and/or instruments. Each "channel" would be controlled by sliders or knobs to get the sounds blending right, so you can send it to your recording device (like a tape deck). Of course, times have changed, and people record on computers and DAWs now and not on tape recorders. So many mixers these days will come with a USB connection that will allow you to record your mixes directly to your computer, or even a tablet. The benefits of a USB mixer is that it eliminates the need for an audio interface, since a typical non-USB mixer would require some form of analog-to-digital conversion (via audio interface) in order for your device to record your mix. An audio interface somewhat acts like a USB mixer, except an audio interface doesn't give you much control of the sound before it reaches your recording device (such as volume and EQ). Instead, a USB audio interface simply acts as device that routes your audio signals to the channels of your DAW's mixer (where you can do all the controlling via clicks). Depending on your setup, either USB mixer or audio interface can work best for you. But most people who record their tracks live in a home studio prefer the convenient controls that comes with an analog mixer over those that come in their DAW. It's more convenient when you can switch on effects, fade a loop, or pan between tracks via hand when while you're working one or two instruments, for example. Additionally, if you still want the ability mix within your DAW, there are USB mixers that provide the functionality of an audio interface as well. Meaning they can route your channels to your DAW's mixer as well. For the purposes of this guide, there are two main types of audio mixers: analog and digital. Analog mixers are more common. They are cheaper and provide the convenience of accessible controlling, as well as provide that overall "analog sound" that most people like. Digital mixers have their advantages, too. The main on being that you get a lot more features and specs that's impossible to pack into an analog mixer. Undoubtedly important, this refers to the amount of audio signals a mixer will be able to "mix." If you have a lot of instruments, microphones, or sound sources, having the sufficient amount of channels is key. If you're using mics at all, good preamps are needed, and at sufficient quality for what you need. The preamps are what prepare the tiny electrical signal your microphone you produce for audibility within your signal chain. You wouldn't want a preamp that adds additional noise to your mix. If you want to be able to plug your mics directly into your mixer, it's useful if it already has a few preamps. Some microphones need an additional power supply for them to work. Mixers that have their own phantom power mean you can plug your phantom powered mics directly into your mixer without the need of additional gear. If you plan on doing live recording, having on-hand control of effects can be very convenient. Effects like delays, reverbs, chorus, and flangers can help to spice up your recording in the moment. Like effects, you can change change the sound of your recordings to add more bass, treble, or mids, or reduce them as you like. Most mixers typically have 3-band EQ (bass, mid, treble). More high-end mixers give you more. And some mixers give you individual channel EQ. Faders are generally used to control the volumes of each track. Some mixers have them. Others just use knobs instead. For some people this is just a matter of preference. A USB mixer and audio interface do similar things--convert multiple analog audio signals to digital---but they differ in one important way: with a mixer, you can individually control, balance, and fade the sound levels of your channels, with an audio interface, you cannot. USB mixers can be used as audio interfaces if you want to control the effects, levels, etc. without having to touch your DAW. This is most useful and convenient for recording live sets, podcasts, etc., since your controls are right in-front of you. Since USB mixers connect to your computer or laptop via USB, simply plugging it into your computer's USB port should do. However, many mixers come with installation drivers that you either install from a CD, or download from the manufacturer's website. This is to allow your computer software to recognize your mixer's audio signal. If you are recording to a DAW, change the settings of your DAW so that it receives audio signals via USB, and not via any other source. Check your DAW's manual for how to change input settings. Some USB mixers also come with their own recording software, or a free version of a DAW. Following the instructions in the manual should assist you getting things going. The only thing that is left is to connect your microphones and/or instruments to the inputs of your mixer. If your mixer has phantom power and mic preamps, you can simply plug and go. But if your mixer lacks these features, you'd need to get a microphone phantom power supply and microphone preamps. After installing the recommended drivers from your USB mixer's manufacturer's website or CD, download Audacity and install it to your computer. Then plug your USB mixer to your computer, start Audacity, go into "preferences" and select your audio device as "USB Audio" from the drop down menu. For more on how to use Audacity take a look at this Youtube tutorial. Drums often require more than one drum microphone to record, so that should be the first thing you need to consider: getting the right drum mics. After you get the right microphones, your USB mixer will allow you to mix down your drum mics to a stereo track sent to your DAW or recording software for recording. This can be useful for creating sub-mixes for your drums during recording sets, as all the "mixing" will be done via the controls instead of in your DAW. To record multritrack with a USB mixer, you'd need a USB mixer with audio interface capabilities, since this will allow you to route your channels to your DAW or recording software. The best option in this guide is the Allen & Heath ZEDi-10FX. 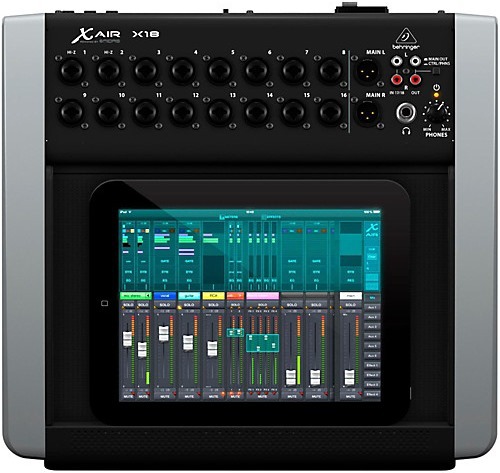 The Behringer X Air X18 is also a good option if you want a digital mixer with wireless controls. With your mind armed with the knowledge of the best USB mixers for home studio, finding the right one should be a piece of cake. There are tons of USB mixers on the market... I should know, it took me a while to sort through them. But hopefully this would've helped you filter out the noise and find the right one. Also, along the way, you may have learned a few things about what a USB mixer can do for you. If you have any questions or comments, perhaps opinions on what you think the best USB mixer for home studio is, feel free to let me know in the comments section below. This guide was the result of several days and dozens of hours doing research on the best USB mixers out there. Product research was done on Amazon as well as other online stores like Sweetwater. 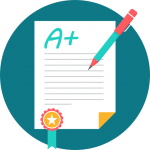 Forums such as Gearslutz and Reddit was a tremendous help in providing the correct user impressions, opinions, advice, and caveats from those who already know what they are talking about. 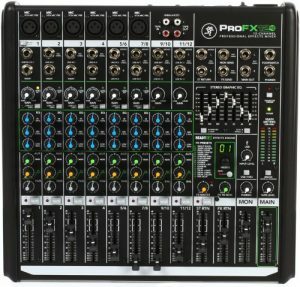 By sorting the ratings on Amazon and other stores, and compiling that data with customer reviews, professional reviews, and forum entries, compounded with my experience in music production, the result is a few out of the many USB mixers that exist considered to be the best and safest buying options around.